I probably say this every year but I really don't know where 2015 went?! This year has been one hell of year. In the most possible best way. It was a year of new starts for me. New job. 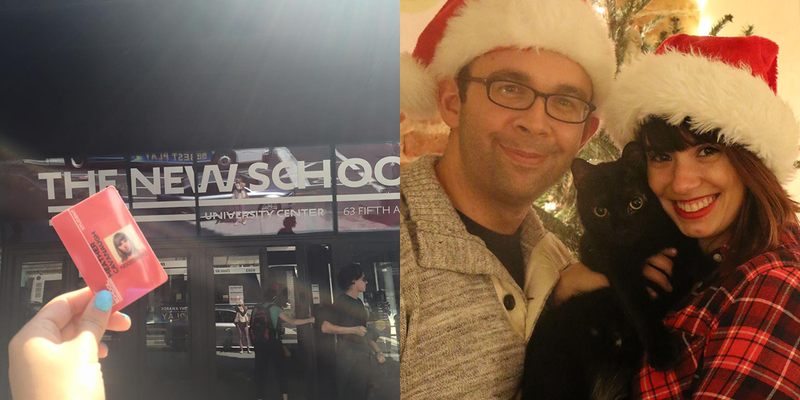 Graduate School at the New School. Both have opened such amazing opportunities...explored parts of the city that I never really got to know....and met some fantastic people. 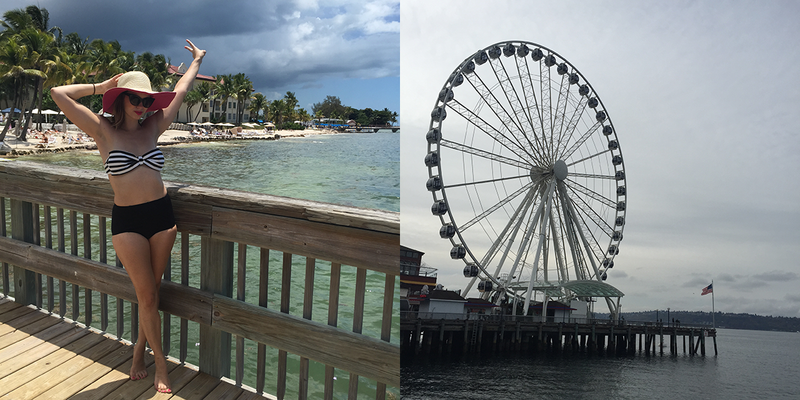 The husband and I got to visit lots of new places some close and some far. I'm looking forward to what 2016 will bring. I'm also looking forward to closing out 2015 in MEXICO! Here's to a New Year. And a NEW YOU. You can do anything in the New Year! Thank you all for following, reading, commenting, etc. I look forward to sharing 2016 with you all! Welcome the New Year with healthy glowing skin and a positive outlook. Didn't have such a great 2015? Leave it all in the past! Start 2016 with a refresh start and a positive attitude. Lifetherapy has developed lotions, body washes, and scents that are designed to create a positive association for their wearers. Their products are formulated without sulfates, mineral oil, petroleum, DEA or parabens, and most importantly, products are not tested on animals. Lifetherapy strongly believes in the power of positive energy, "When we choose to live positvely with scent and color, we are empowered by our own thoughts." 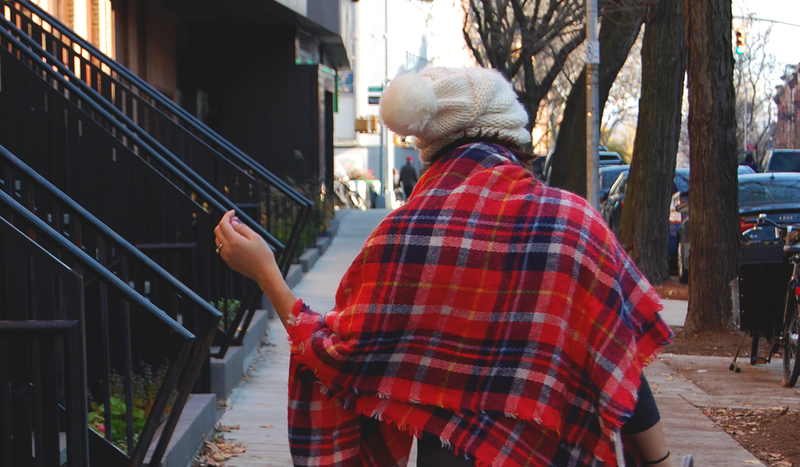 This Holiday Season Lifetherapy and Fashionista NY Girl wants our readers to live positively in 2016! One lucky winner will win a Lifetherapy Mini Collection Gift Set, which include hydrating body lotion and mood enhancing body creams. My favorite scent from Lifetherapy is Flirt. I'm girl who loves the muskier scents and Flirt has just right amount of floral and musk. The mix of water flowers, bergamot, coconut, muguet and rose has the perfect balance of floral and musk. It's not overly flowery smelling but has just the right amount of femininity to make me feel my best. Kick start the New Year off right TODAY! 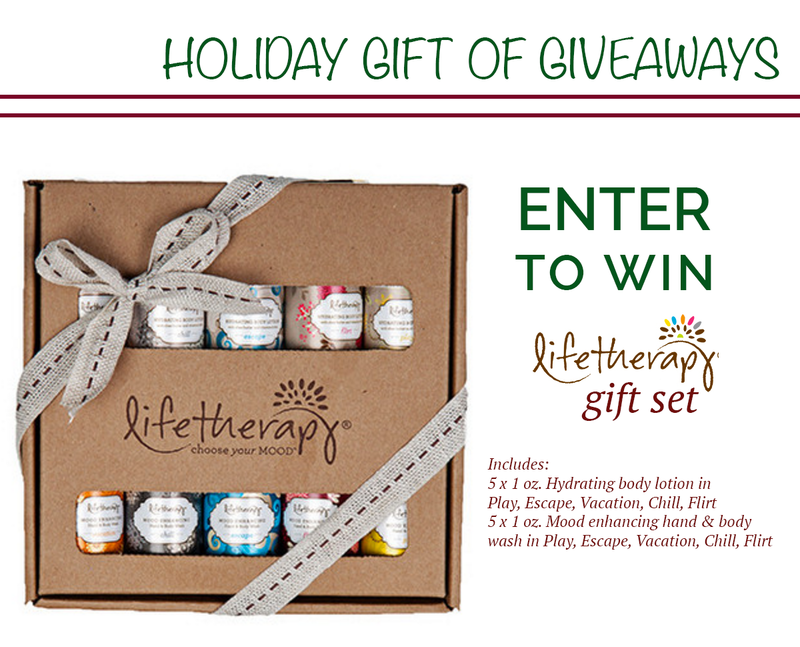 Enter to win your own Lifetherapy Mini Collection Gift Set! Contest ends Sunday, 12/27, at 11:59pm. Is there anything more comfortable then a pair of soft leggings? My typical Sunday uniform includes a pair of leggings, and these Aerie knit leggings are perfect for those lazy Sundays at home. 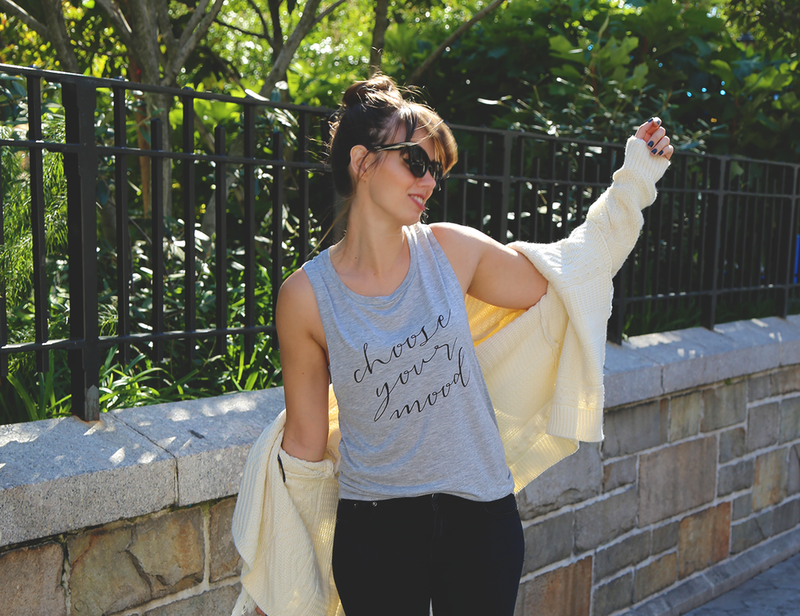 Throwing on a knit top to pair with the knit leggings is a quick fix for when you need to run out to the store. 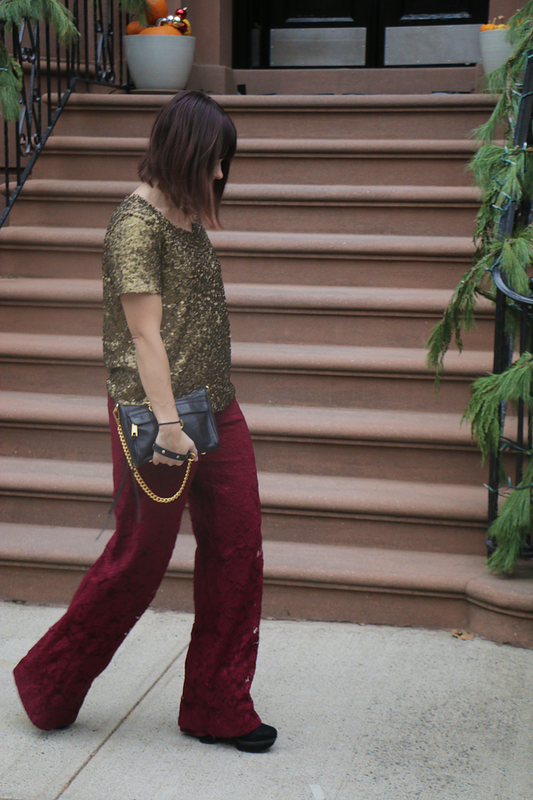 Who doesn't love to wear sequins during the Holidays? 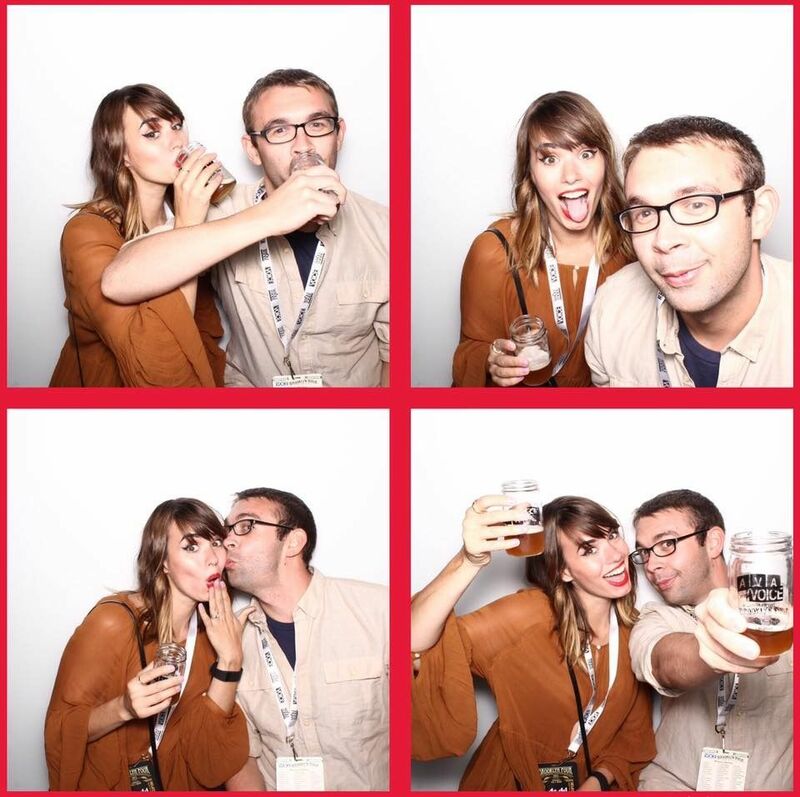 No two Holiday Parties are the same. Each party has a total different vibe, one can be more dressy, more festive, or totally relaxed. Sequins can be dressed for every occasion, it's all in how you style them. 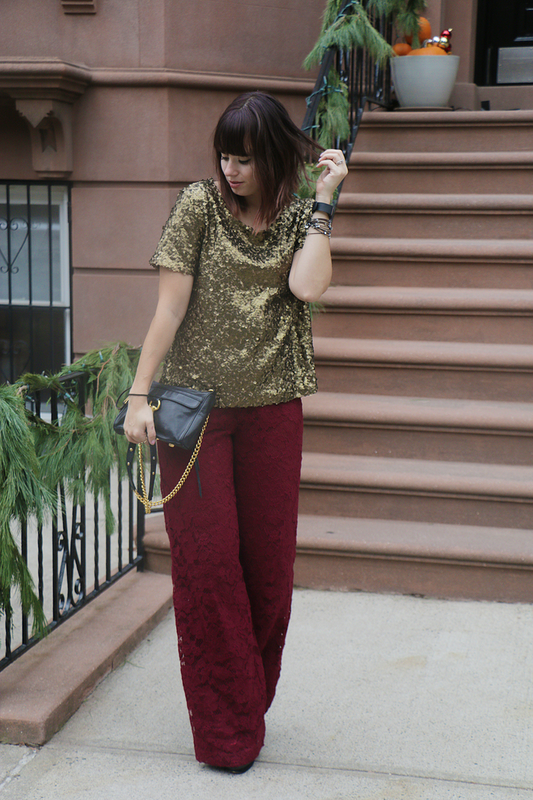 Today I'm showing you two ways on how you can wear sequins. 1. Keep it simple when pairing up lace & sequins. When it comes to sequin tops do keep a clean neckline, opt for earrings and bracelets instead. 3. When doing wide leg pants always opt for heels. The pants are especially long so I have no choice but to wear heels. But wide leg pants and high waist line can help elongate your legs, so play it up with a pair of heels. I opted for a pair of black booties. 1. Go Bold! Plaid tops are made for necklaces. Pair this look up with a layered or statement necklace. 2. 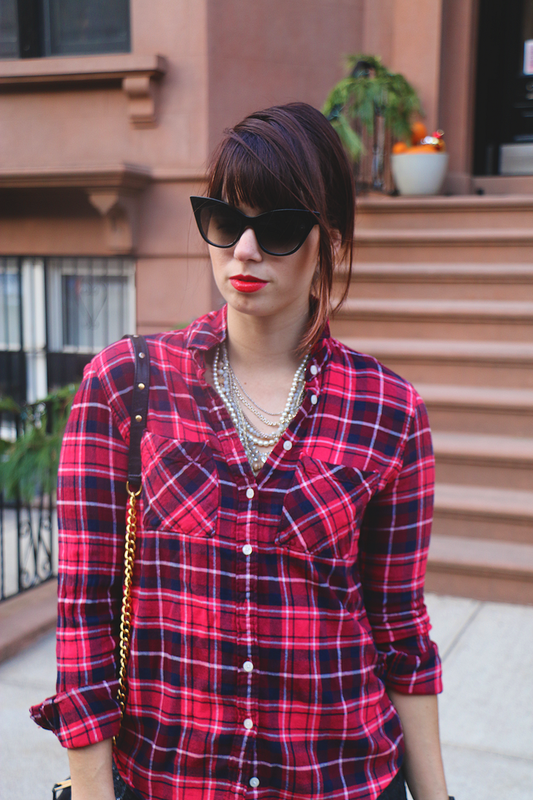 As for make-up, I love a red lip with a a plaid shirt. A red lip or a bold color helps you pop from behind the print. 3. 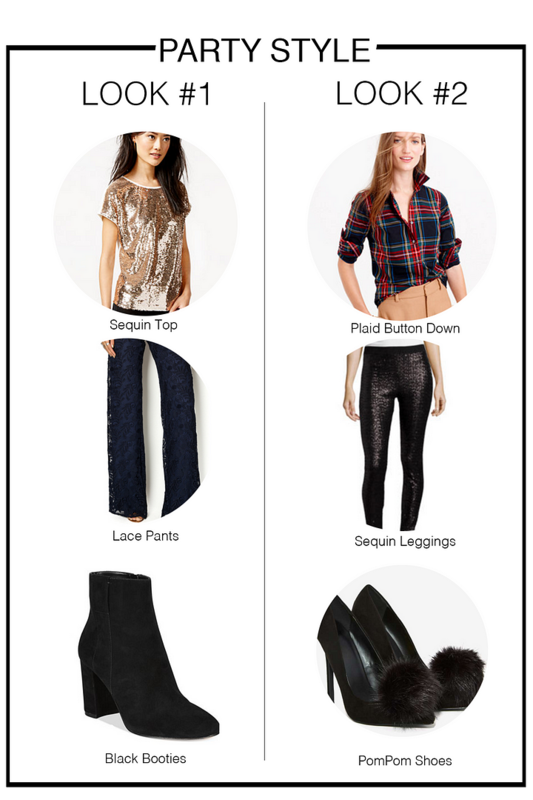 Sequin leggings are perfect for the Holiday Season, paired with a plaid top you are ready for a casual party. What are you wearing this Holiday Party season? I've always been a cat lady...but it wasn't until Chubs entered my life that I truly embraced my cat lady side. I love everything and anything cat. Sweaters, hats, shirts, etc. When Kate Spade had released it's black cat prints along with this sweater I had to have it all...but of course as always my budget said otherwise. Thankfully Kate Spade had her Surprise Sale and they had this sweater on sale! I was so excited that to see it on sale that I didn't even think twice about buying it. Purrfect for my growing cat themed tops. Are you a cat lady too? This time of year it might be hard to find any type of balance in your life. The Holidays can take a toll on your wallet, your time and your diet. We all love to indulge from time to time, I mean there hasn't been a Holiday Cookie that I met that I haven't liked...but over doing it is never good. Dosha Pops are the perfect little pop to give you that kick of sweet without feeling guilty. Dosha Pops are made with natural indigents from herbal teas to Ayurvedic spices- such as turmeric, ginger, and cardamom. 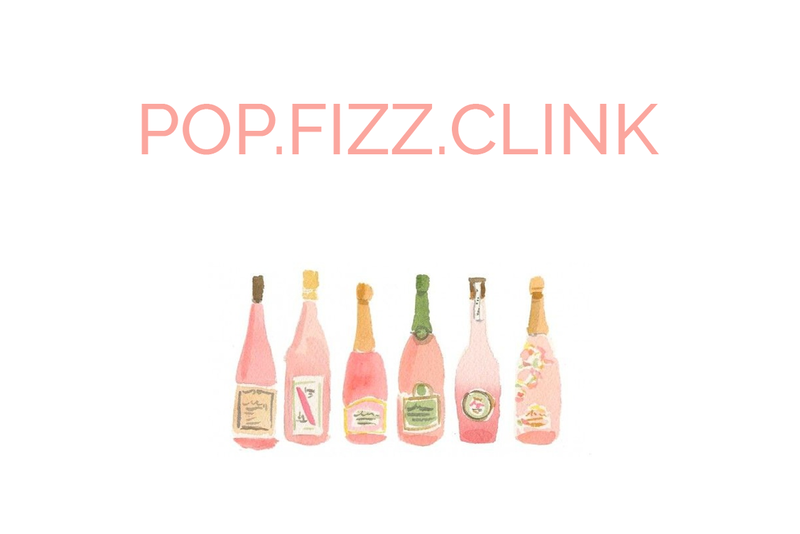 Not only will these pops satisfy your sweet tooth but will also help you find your Zen during the crazy Holiday season. 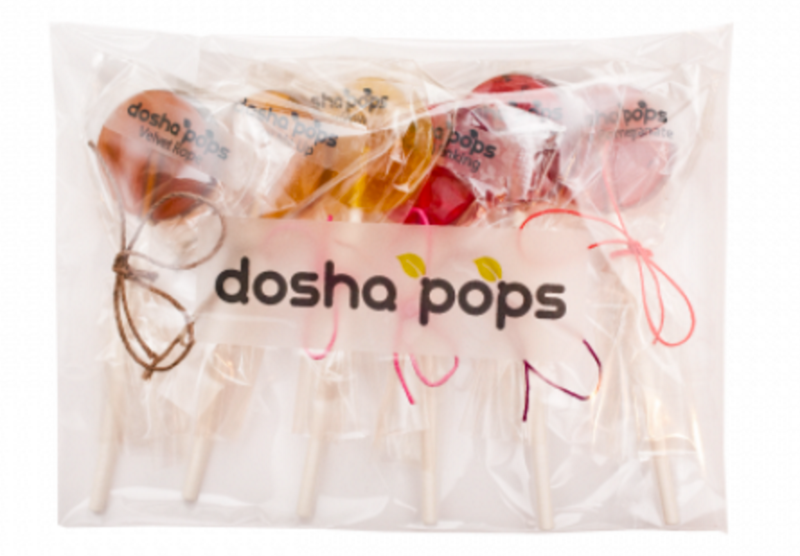 Lucky for you, ONE LUCKY READER will win a Dosha Pops gift pack of assorted flavors. Reach for the Head Over Hibiscus to find your inner peace, as hibiscus is known to have a calming effect as well as help with circulation, which is what we all need during this time of year. Feeling stressed? Try the Chai Me Up! This pop is full of the best stuff to get you de-stressed: Holy Bails or tulsi is said to be a great de-stresser as it reduces levels of cortisol and in turn calms the over-stimulated adrenals. 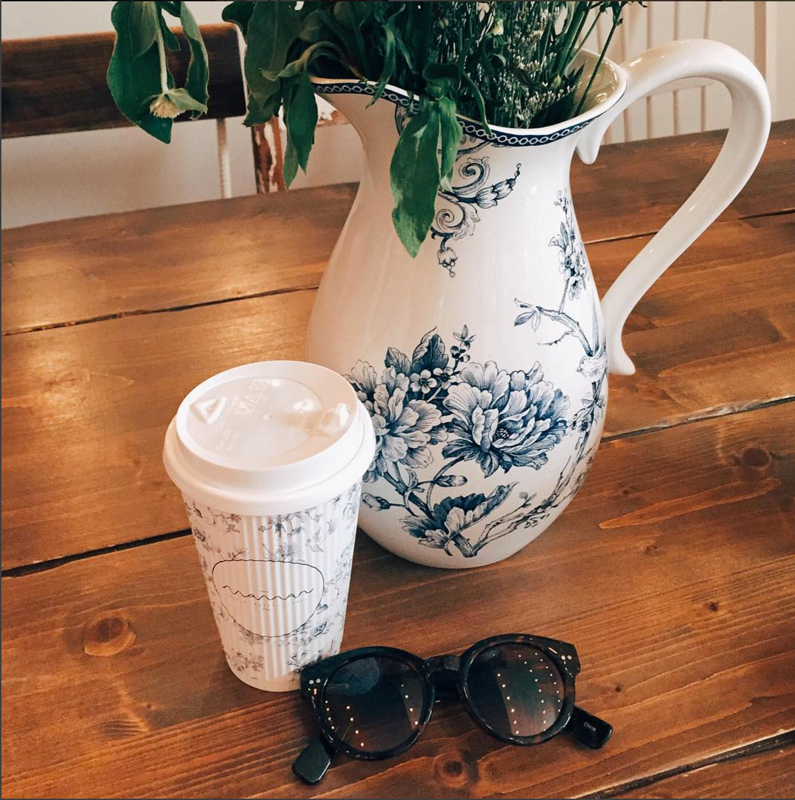 While Chai has a combination of calming, vitalizing, and mentally clarifying powers. 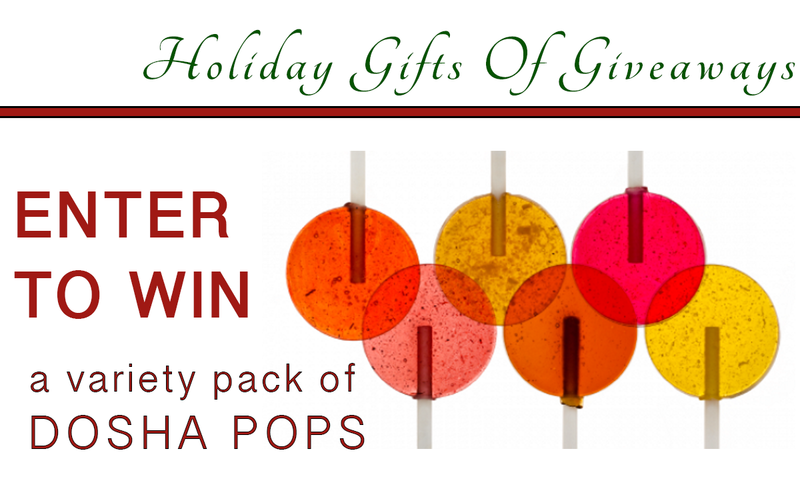 Enter for your chance to win something a little sweet with a gift pack of Dosha Pops. 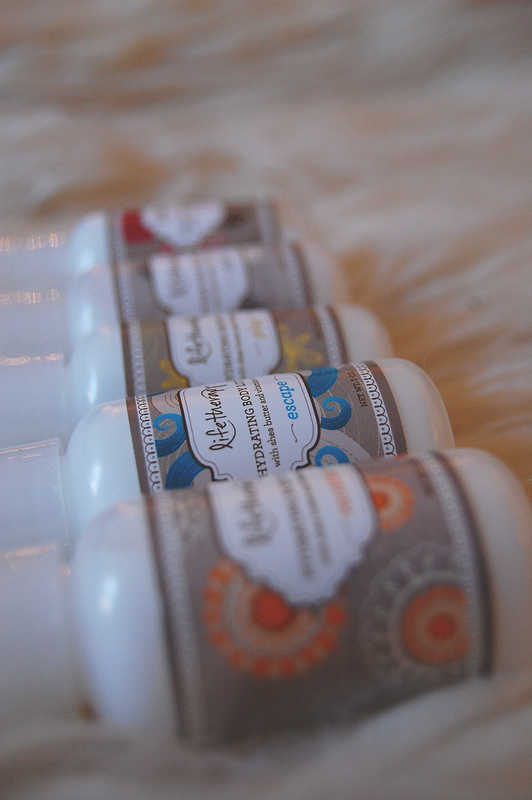 One lucky winner will win a pack of assorted Dosha Pops Flavors. Contest ends Sunday 12/13/15 at 11:59pm. One winner will be chosen at random. Holiday traveling is always chaotic, especially when you live in a busy city already. 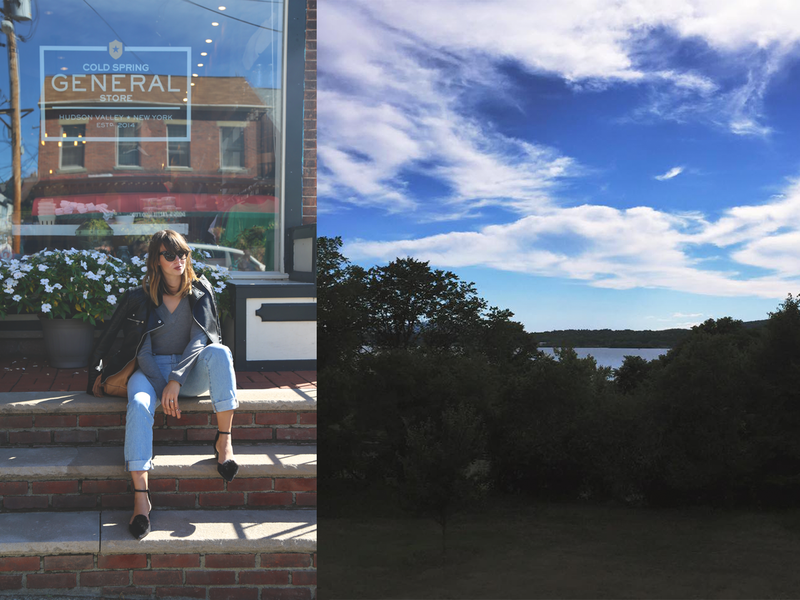 If you're like me, I like to get to my departing destination early so that I can grab a bite to eat, sit and relax amongst the hustle and bustle (but for me this is anytime I travel...I hate feeling rushed). 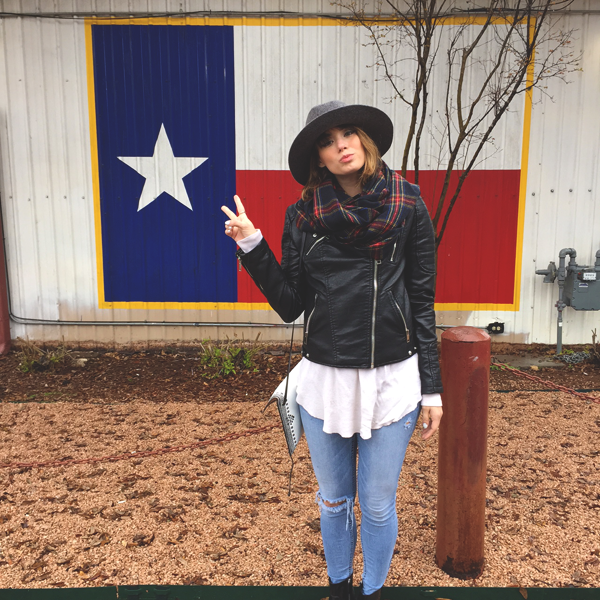 My travel style is just as laid back. I lean more towards casual cool, then fussy. 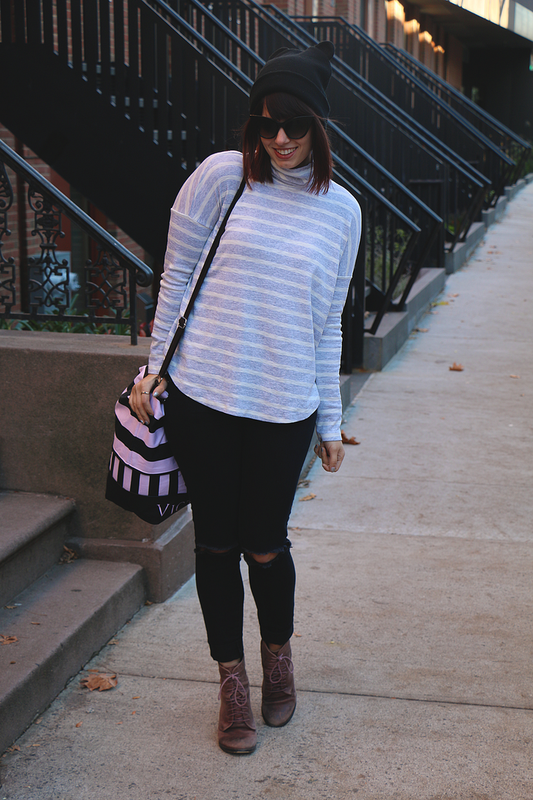 For the winter Holiday travels theres nothing like a cozy top, like my Aerie turtleneck, and comfy pair of jeans to get me from train to destination. These looks are great from hoping off a train, plain, automobile to dinner, drinks, or hanging with the family at home. 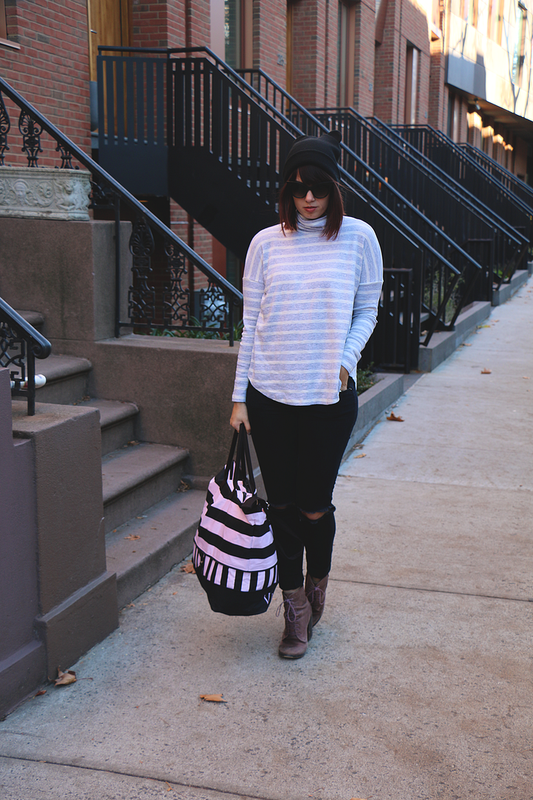 What's your Holiday Travel style?